Lexington-Fayette is located in the heart of Kentucky's Bluegrass region, and it's known for being a horse capital of the world. 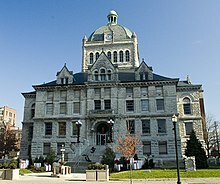 Lexington is the city - the second biggest in Kentucky - though the metropolitan area is officially known as Lexington-Fayette Urban County. Lexington ranks tenth among US cities for college education rate; the lively University of Kentucky is also located here. The city is very diverse, with horse farms and historic reservation projects. Forbes also listed Lexington as one of the US's greenest cities. The Gardens of Hartland offers single family homes with first floor master suites, where landscaping and security is handled by the association. It also offers a pool and clubhouse option as well. Heritage Place, is located near Keeneland and has some beautiful horse farms nearby, and provides a walking trail and easy access to the airport. Heritage Place is convenient to shopping and many restaurants but still just minutes from downtown Lexington. The low maintenance brick exteriors and affordable HOA make it easy for you to come and go. The Villages of Rabbit Run is another community here. Lexington has a lot going for it. University of Kentucky provides big time sports and cultural excitement and the youth of its students. 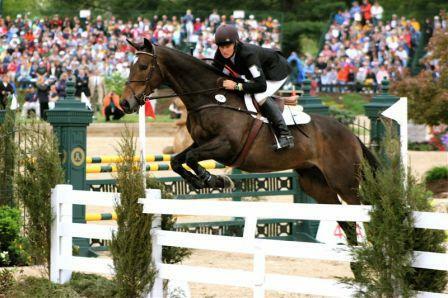 The heritage of thoroughbred horse racing and other equestrian events is a big part of this medium sized city. There are 2 historic horse racing tracks: Keeneland and the Red Mile Harness Track and the state's signature attraction "The Kentucky Horse Park" just 7 miles down the road. In additon, the city has been progressive in incorporating bike paths, walking trails and elaborate green space such as the "Legacy Trail" and the University Of Kentucky Arboretum. Lexington's downtown area is vibrant and offers many events including a large farmer's market community, its popular Thursday Night Live entertainment venue and its relaxing "Triangle Park". In 2015, Lexington started a $23 million project to "re-open" the Townbranch Creek downtown and create various common areas and walking trails associated with it. Lexington has the "Lexington Legends", a minor league baseball team in the South Atlantic League and an affiliate of the Kansas City Royals. The team is located in Lexington and plays their home games at the Whitaker Bank Ballpark. Lexington's leaders have a strong focus on preserving its heritage and attractiveness while keeping the city livable and modern. Lexington retains the history and charm of a city over 235 years old, while providing an attractive environment for a more modern lifestyle. Companies such as Amazon, Toyota, Lexmark, Alltech and Trane are happy to call Lexington and its close neighboring cities home. Internationally, Lexington's charm has been acknowledge as it is or has been the site to several major international invents such as the 2015 "Breeders Cup"and the annual Keeneland Concourse Automobile Show. Finally, while horses are a significant part of the city's history, the world has awoken to fall in love with the state's famous Bourbon Whiskey and the adventures of navigating the "Kentucky Bourbon Trails" of distilleries. In 2018 Lexington was named a top tourist destination. In 2019, Lexington was rated #29 of best U.S. best places to live in by US News & Reports. Lexington might be too big, too expensive, and too crowded for some people. While the cost of living is reasonable for a city of this size, choice neighborhoods and retirement oriented condo's can easily be $100,000 more expensive than the average cost of a home. Affordable, attractive living is available in Lexington, but smaller communities within 20 miles of the city may offer a better value. Lexington offers all 4 seasons and while the winters tend to be mild, the city can occassionally get a larger than normal amount of snow. The good news is that most snow events melt within a few days of happening. In addition, as Lexington has grown, it has increased its capabilities for handling the occassional larger snow events. Finally, Lexington is part of the south and as such has the summer heat and humidity associated with it and temporatures can occassionally reach 100 degrees. Usually the locals use these periods to sit on their porches and patios and drink sweet tea or lemonade with their friends and neighbors. The locals know one thing about the weather, whatever it is today, it will change tomorrow! While Lexington is easy to get around, the locals have traffic congestion as a top 5 complaint. The locals refer to Lexington as "land constrained" due to the preservation of the horse farms that surround it. This means that certain high-trafic areas get extra congested during peak rush hour periods and ones commute can take fifty percent longer. So your 15 minute drive somewhere could end up taking over 20 minutes. Not terrible, but its a legitimate concern for a city this size. Lexington is located in the north central portion of Kentucky. The average January low is in the mid 20s and the July high temp is in the mid 80's, but occassionally temps will reach extremes not seen for years such as zero for a low and 100 degrees for a high. Here is a link that shows the Average Weather for Lexington since 1974. Its nice in that it covers a long period of time and also addresses most of the variables that people consider important when describing the weather for an area. Lexington has many thriving arts organizations including a professional orchestra, two ballet companies, a professional theatre, several museums including a basketball museum. There is an opera program at the University of Kentucky. Many festivals are held throughout the year including the Festival of the Blue Grass and the Roots and Heritage Festival. The University of Kentucky Art Museum is the leading art museum of the region. The University of Kentucky isn't the only institution of higher learning. Transylvania University (Transy), located in the heart of downtown Lexington, Ky., is ranked in the top 15 percent of the nation’s four-year colleges by The Princeton Review, which cites its community-driven, personalized approach to a liberal arts education through 38 majors and 37 minors. Founded in 1780, it is the 16th oldest institution of higher learning in the country, with nearly 1,100 students. Various concerts and plays are performed on its campus throughout the year. The Red Mile is the second oldest harness track in the world and is known for its red clay, one-mile track. For 140 years, harness racing’s elite have converged on Red Mile to stage some of the greatest equine battles in history. In addition to each year’s showcase horse racing, Red Mile simulcasts 364 days a year and hosts numerous horse sales. In 2015, the Red Mile completed a $42 million renovation. This renovation also included the addition of a gambling venue, entertainment attrium and new restaurant. In addition to racing and gambling the Red Mile now host various live performances throughout the year. As for the restaurant scene, Lexingtonians love restaurants. The city boasts an array of comfort food choices and a large selection of locally owned upscale establishments. There is even the Downtown Lexington Walking Food Tour where you can sample the offerings of many of the downtown resturants. Downtown Lexington Food Tours. Crime is slightly above the national average, with violent crime about 20% above the average. The Lexington Police Department and BAIR Analytics Inc. provide an online crime map called RAIDS Online (www.raidsonline.com) that maps and analyzes crime data, alerts Lexington citizens about crimes in their area, and allows the police to quickly alert the public about crimes as they occur. There are 3 hospitals including the University of Kentucky Hospital and numerous clinic locations. Since Lexington is the second largest city in the state, the availability of medical care is quite exstensive. In addition, since Lexington is the "Horse Capital of the World" the University of Kentucky has an extensive equine and large animal research center - the Gluck Equine Research Center. Blue Grass Airport serves the region. There is a public (bus) transport system - Lextran; Lexington is below average in walkability when compared to other towns. This is probably due to the fact that Lexington-Fayette, KY Metro Area is a merged city-county government and this distorts comparisons to other cities (where the county is excluded). The Lexington-Fayette Metro Area has a land area totaling over 283 square miles.